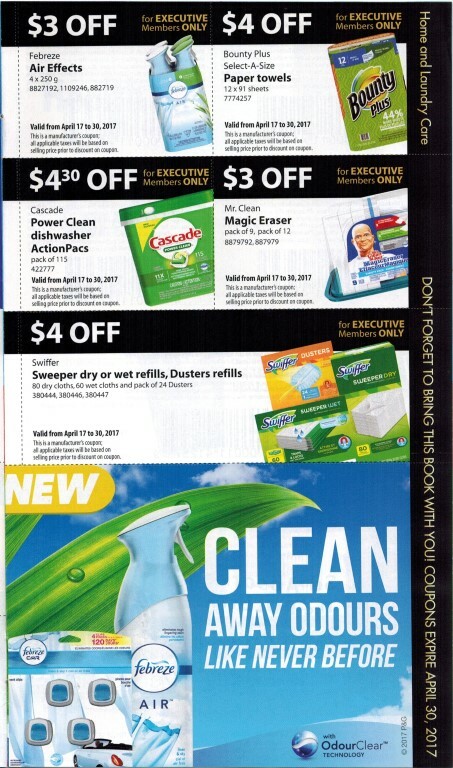 I just received a new batch of Costco Executive / Kirkland Product Coupons from Costco and though I would share! 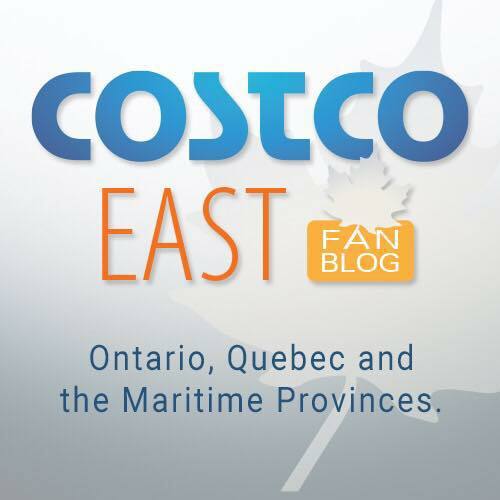 One of the bonuses of the executive Costco membership is that you get mailed extra coupons! 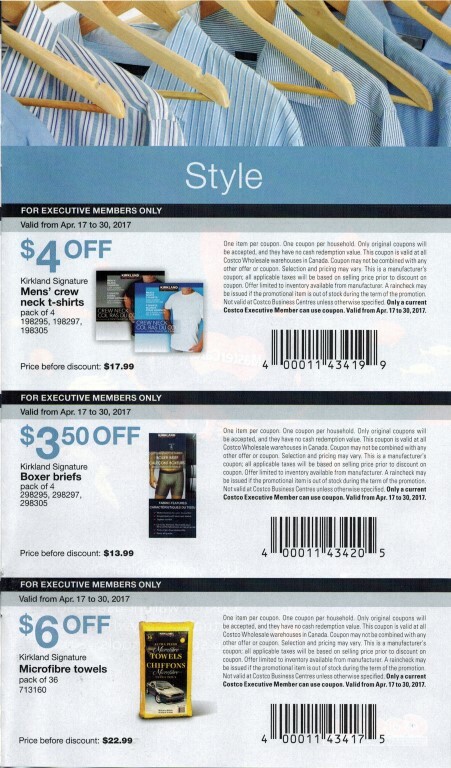 If you have an executive membership and have never received these coupons, you may have to visit the membership desk to make sure you have the correct address and that you have opted in for mailings. 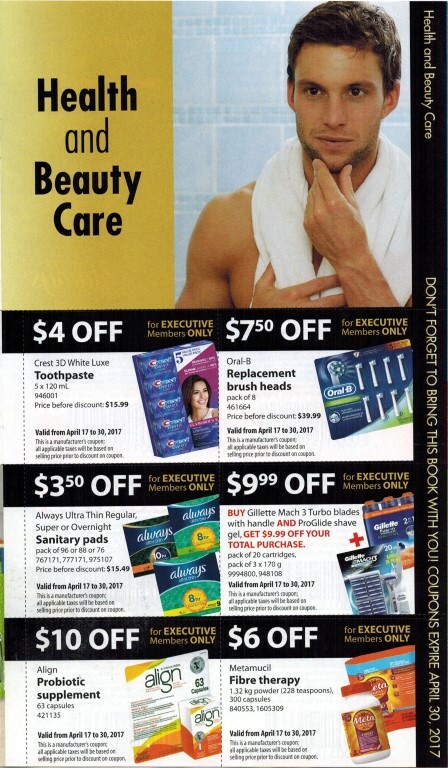 There is an extra coupon book that features some Kirkland products that RARELY GO ON SALE! If you have never tried the Kirkland bed sheets – you are missing out. For $25 off they are a great deal!!! Want to see the sale items (163 Pictures) for Apr 3-9 for BC, Alberta, Manitoba, Saskatchewan? CLICK HERE! I have never gotten them and we’ve had Executive Membership for at least five years. That makes me glad I’ve subscribed to your page. Hopefully they’ll have the coupons in store for people who didn’t receive them. Yes. They do. You can speak to customer service. Thank you!!! I never knew this existed!! Happy I renewed my executive membership. 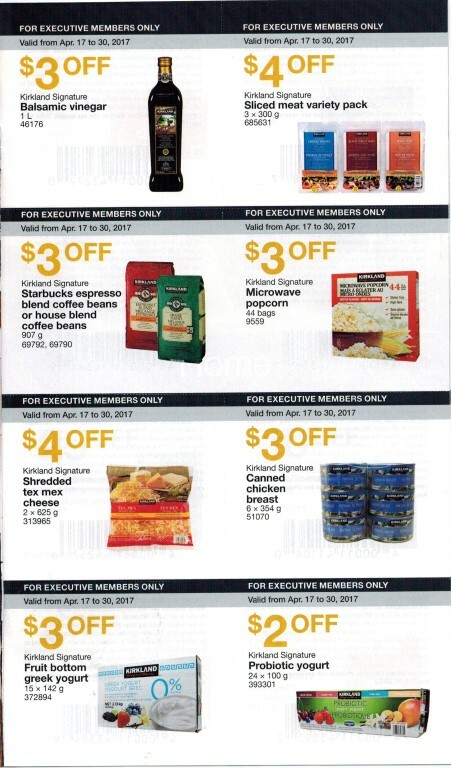 I have been missing out on these executive member coupons. How do I get them? Will they offer the discount at the checkout? They generally mail them at your home addrsss , or the address at the card . If you didn’t get them just go to the customer service and sometimes they just give you the booklet of coupons. Hope it helps . If you haven’t been getting them you should go in to a store to customer service. check and make sure they have your correct address on file. If I make not mistaken, hey are a refrigerated product…by the eggs. They were giving samples of the grapefruit cups last weekend in Victoria. They have a goodly of sugar in them. A goodly amount of sugar I meant. They were sweet! If you haven’t been getting the coupons, go to the membership counter to let them know. I’m uncertain if they are able to hand out in warehouse, but they should be able to verify you for future mailings. 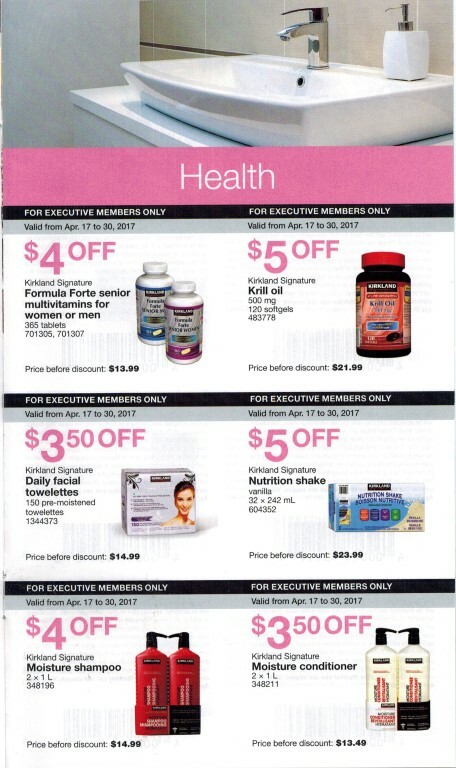 Mine came in the mail yesterday, I love getting the Kirkland ones but it’s been a few years since I got these coupons. Great deals AND do everyone in line a favour and have them cut out of booklet for the cashier. There are no scissors at the till. 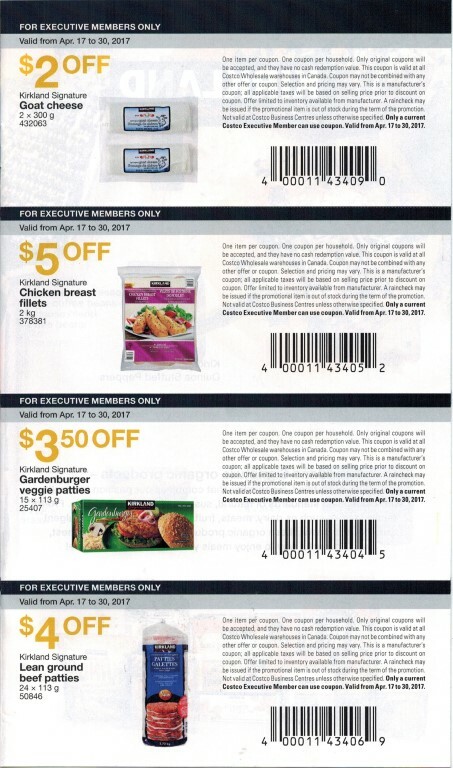 I have always been an executive member and when I worked at Costco a few years ago I asked why I never received the mail out coupons. They checked my account and apparently I had asked for no mail outs… they changed it and voila, I started getting the quarterly mail outs ! 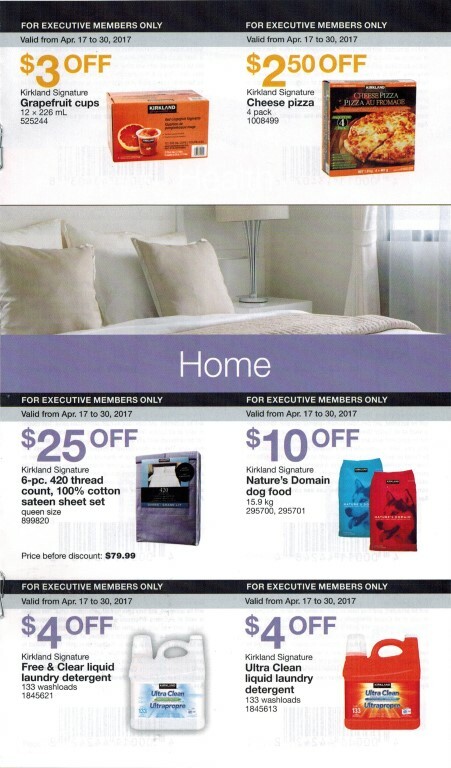 Even if you subscribe to mail out coupons, it is totally futile if you do not use at least one coupon per mail out . 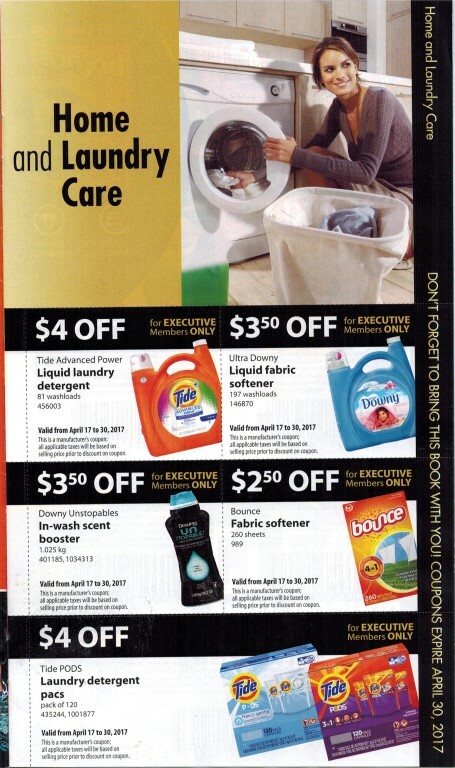 We do not use their home and laundry care coupons nor their health and beauty care coupons , so we never receive the really good Kirkland coupons. I find this extremely unacceptable as an Executive Member pays twice as much as a regular member. Thank you Tynanwong for posting. I really wonder how many Kirkland deals we have missed out in over ten years as an Executive Member? ?